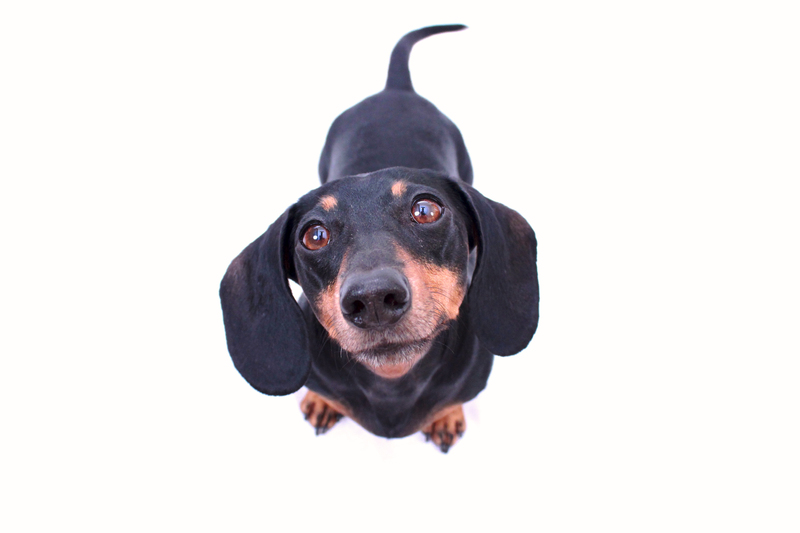 Abbey, the black and tan smooth doxie, was a real character when I photographed her last year. 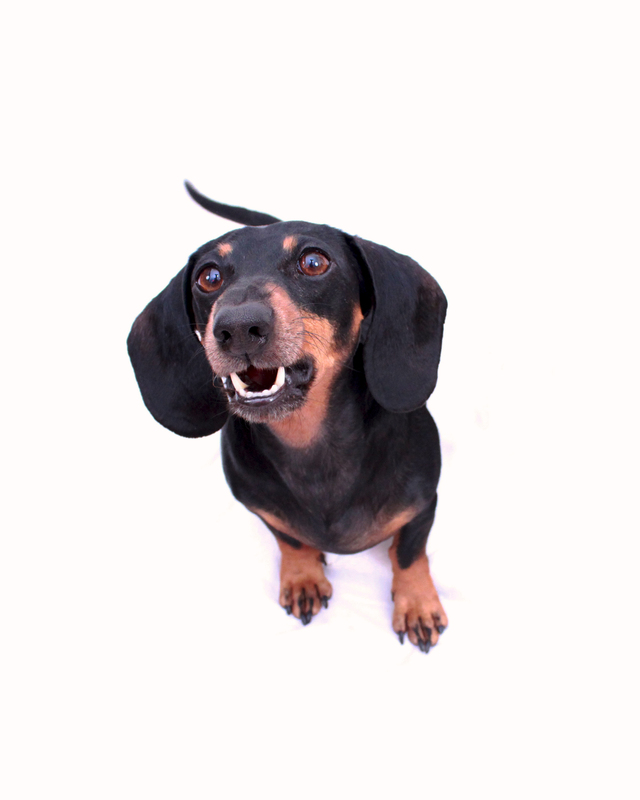 She would bark when I would hold a treat, which made for some fun photos. I caught her mid-bark with her mouth in between open and close in the top photo; she reminds me of vampire doxie, if there was ever such a thing. In the one below, I simply love the outline of the dachshund form – which is probably one of my signature dachshund poses. Abbey is a rescue and was estimated to be 4 at the time of the photos.